Please give it up for Jim! One of the best stand-alones of the year was one which I nearly didn’t read at all. Mike Revell’s Stonebird sees ten-year-old Liam move home to be closer to his gran, who suffers from dementia. 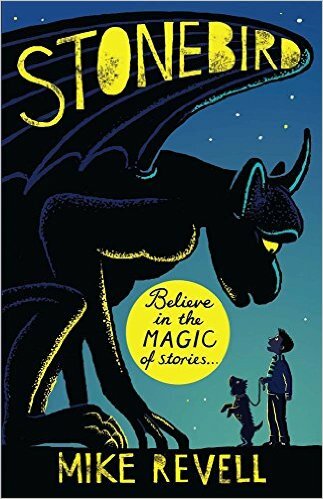 He discovers a gargoyle who can come to life and carry out his stories, giving him the opportunity to seek revenge on bullies – but could he go too far? And how is the mysterious gargoyle linked to his gran’s childhood? I was recommended this by several people I really trust and knew it would be a brilliantly written book, but had to force myself to read it due to it bringing back painful memories for me. As someone who’s seen first-hand how horrible a loved one’s dementia can be, this really captures what a dreadful experience it must be for a youngster to go through that. Despite that, it’s in many ways also an uplifting book, the message about the power of words and storytelling is a brilliant but subtle one, and I raced through it. While that was admittedly partly because I didn’t know if I’d be mentally ready to pick it up again if I paused reading it, I ordered my own copy nearly as soon as I’d finished the one I’d borrowed from a friend. I would have to be in a VERY specific frame of mind to reread, but I have a feeling that I eventually will. A really wonderful debut and I’m incredibly excited for Stormwalker, Revell’s second book! 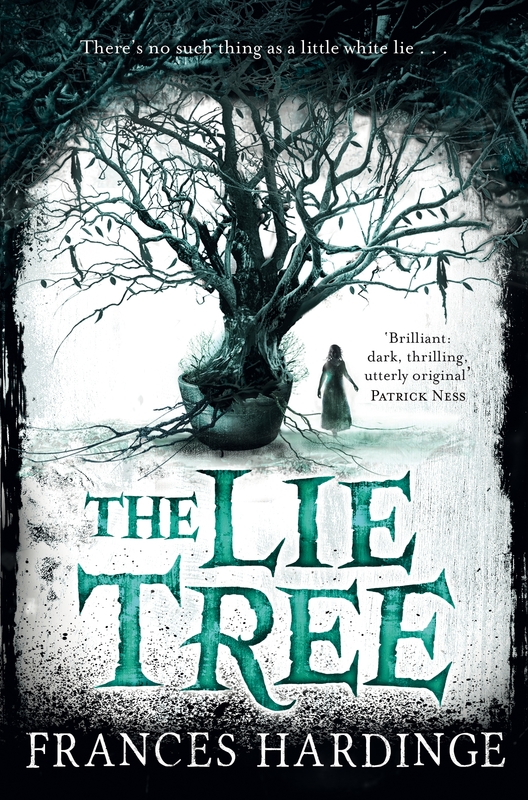 Frances Hardinge’s The Lie Tree is another stunning stand-alone. Somehow despite having been repeatedly told over a long period of time by numerous people – particularly fabulous fantasy author Tom Pollock – that I’d adore Hardinge’s work, she’s an author I’d never got around to trying. The Lie Tree put this right – it’s a spooky and extremely exciting story which is breathtakingly beautifully-written. Set in Victorian times, after heroine Faith’s father is found dead, she discovers a tree that will deliver a hidden truth to those who eat its fruit. But for the fruit to grow, she must whisper lies to the tree and persuade others to believe them. This was publicised with the words ‘where lies seduce, truths shatter’ and it’s a brilliant summary of one of the key themes in a book packed full of huge ones. In particular, it’s one of my most-feminist reads of the year – Faith is fantastic but I loved that there were so many women who were strong in such completely different ways. There are also some fabulous twists which caught me completely off-guard! I definitely want to read more of Hardinge’s extensive backlist and am planning on treating myself to Gullstruck Island, Verdigris Deep and A Face Like Glass at the end of January as Macmillan are publishing brilliant versions with covers that match The Lie Tree. I’ve seen people disagree whether this is YA or MG – either way, it’s a truly superb read. Chris Priestley’s The Wickford Doom, with outstanding chapter-heading illustrations from Vladimir Stankovic, shows that a true master of tales of terror needs very few words to be seriously scary. Published by Barrington Stoke, who specialise in books for dyslexic and reluctant readers, this is brilliantly paced and Priestley packs a lot of thrills and chills into a 96 page book. Harry and his mother think they’ve inherited a bequest from a relative in the war after his father’s death, but find themselves the victims of a dying man’s last prank. 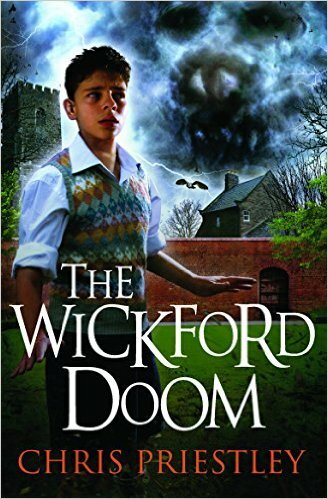 As disappointing as this is, things take a turn for the worse when Harry sees a strange painting called The Doom and hears tales of missing children – can he fight back against it? Priestley’s character development here is really great considering the short length of the book; as ever with Barrington Stoke it’s a book that will appeal to less confident readers, and Stankovic’s art has him firmly on my list of illustrators to seek out more from. There were lots of sequels I was looking forward to, and I never know what to say about the second book in a series – I’m wary of giving spoilers for the start, apart from anything else. Speaking very generally, though, it’s safe to say that pretty much all of the continuations I was looking forward to were worth the wait! Jason Rohan’s Japanese fantasy adventure Shield of Kuromori, Carrie Ryan and John Parke Davis’s magical pirate story City of Thirst (again complete with stunning Todd Harris illustrations!) and Sophia McDougall’s sci-fi Space Hostages built on three of my favourites of 2014 in the genre and all are great reads. 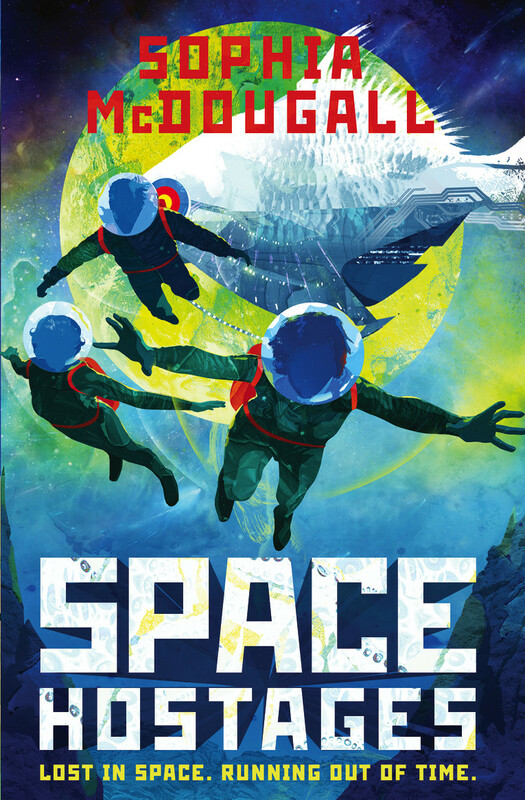 I particularly liked the way Sophia McDougall looked at aliens with five different genders in Space Hostages – a wonderful way to introduce the concept of gender being more than just a binary, which made this thrilling adventure series feel like an important read as well as an incredibly entertaining one. 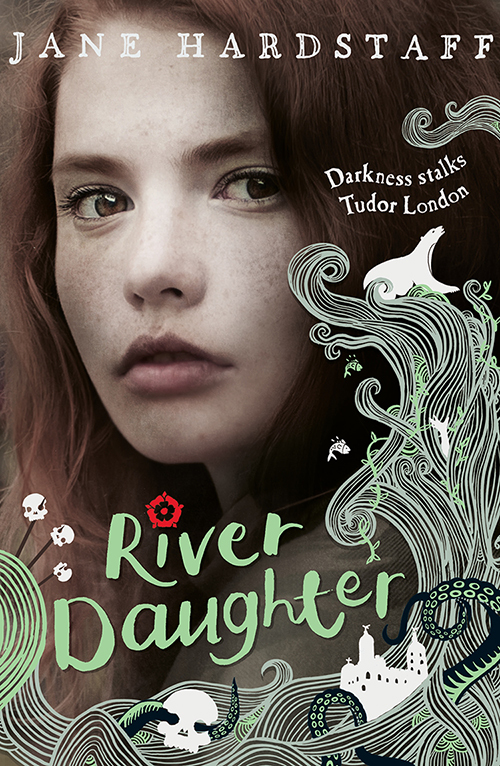 I think the two sequels that impressed me the most, though, were River Daughter by Jane Hardstaff and Bloodstone by Allan Boroughs. Hardstaff’s second Elizabethan paranormal story, seeing main character Moss and her friend the boy thief Salter joined by superb newcomers Eel-Eye Jack, a talented musician, and Jenny-Wren, a young girl forced to take part in gladiatorial combats against animals. As strong as the way Hardstaff brings the time period to life is, the Moss and Salter friendship was my favourite thing about book one and it’s the interplay between the quartet of teens – particularly Moss trying to choose between her own warm-hearted tendency to trust Eel-Eye Jack and cynical Salter’s warnings against doing so – which made this one really stand out. 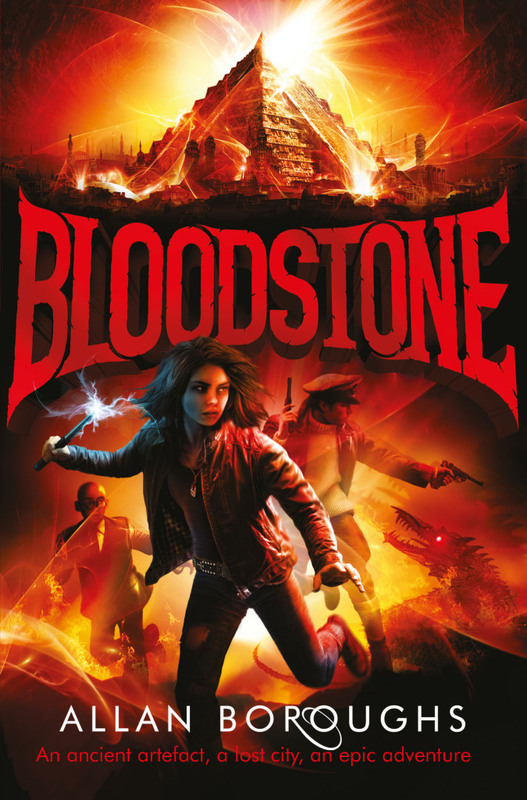 Meanwhile Ironheart – a fun post-apocalyptic adventure with a great heroine, tech-hunter’s apprentice India Bentley – in no way prepared me for what sequel Bloodstone would do to me. I loved the development of the relationship between India and mentor Verity Brown, the returning Sid the Kid was fleshed out from a relatively one-dimensional supporting villain in book one to a complex and well-rounded character here, and newcomers Cael and Tito were superb. It keeps the excitement of the first book and adds more humour and a lot more heart, building to a stunning and really emotional conclusion. 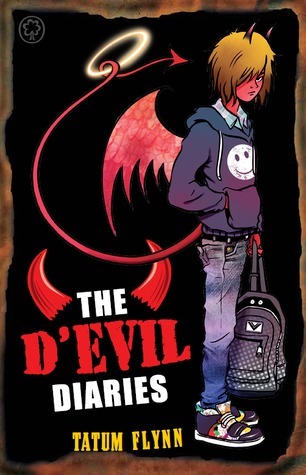 Moving from sequels onto a series starter, Tatum Flynn’s much-anticipated The D’Evil Diaries, which saw the Devil’s youngest son try to stop a conspiracy in Hell by teaming up with a young girl who shouldn’t be in the place at all, was a hilarious read. Flynn’s brilliant world-building is up there with Allan Boroughs and Jane Hardstaff as the best of the year, while her lead characters Jinx and Tommy are fabulous – I’m looking forward to seeing what happens to both in the upcoming sequel – and Dave Shephard’s stunning illustrations were a fantastic addition to her words. I loved Jinx’s desperation to be evil, which kept going horribly wrong, while the friendship with Tommy developed perfectly. For readers at the younger end of MG, there’ve been some really fun fantasy novels. Inspired by Greek myths, I really liked Lucy Coats’s Beasts of Olympus series, full of cute David Roberts illustrations. Following Pan’s son Demon in his new role as stableboy to creatures like the Nemean Lion and the Hydra, it’s a very enjoyable set of books. 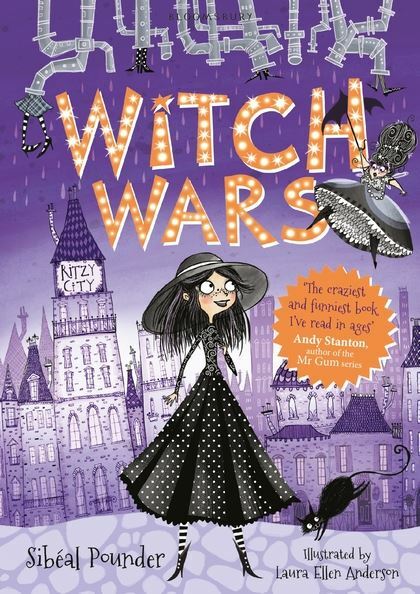 For more gorgeous artwork, Laura Ellen Anderson – perhaps my favourite illustrator – teamed up with Sibeal Pounder for the much-loved Witch Wars series, about a girl who discovers she’s a witch and is whisked away to compete in a reality TV-style competition. 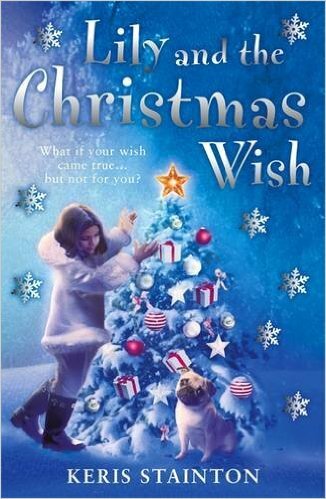 My favourite for this age range, though, is Keris Stainton’s Lily and the Christmas Wish, a charming seasonal story about a town where everyone’s Christmas wish comes true – for somebody else! It’s left to Lily, her brother, and her pug dog – newly equipped with the power to talk – to save the day. Keris Stainton writes for a variety of age ranges and seems to adjust perfectly every time; this is a cute read which is a perfect stocking filler. 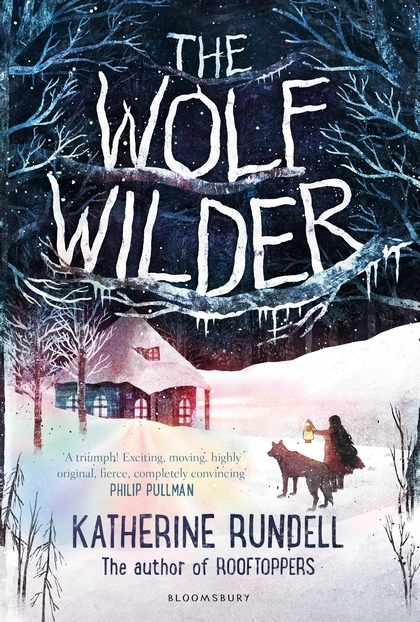 Saving the very best until nearly last – while it technically doesn’t qualify for this list due to not having a speculative element, Katherine Rundell’s The Wolf Wilder is a historical adventure which is so exciting I think it will be adored by everyone – kids and adults alike, whatever genres they normally read. It’s also my absolute favourite book of the year so there was no way I was missing it out. From the opening line “Once upon a time, a hundred years ago, there was a dark and stormy girl”, Rundell completely drew me in. I had high hopes after adoring Rooftoppers but this story of Feo – the said girl, “stormy only when she thought it absolutely necessary. Which was fairly often” – is even better than that book was. Following Feo, new friend Ilya, and the three wolves that accompany them as they journey across Russia to try and save Feo’s mother, it’s exciting and gorgeously written, as expected, but it’s also got an amazing amount of humour in it. Despite the dark situation that the children find themselves in, Rundell’s voice makes it a really entertaining as well as an enthralling read, and Gelrev Ongbico – who’s new to me – brings her gorgeous prose to live with equally brilliant illustrations. 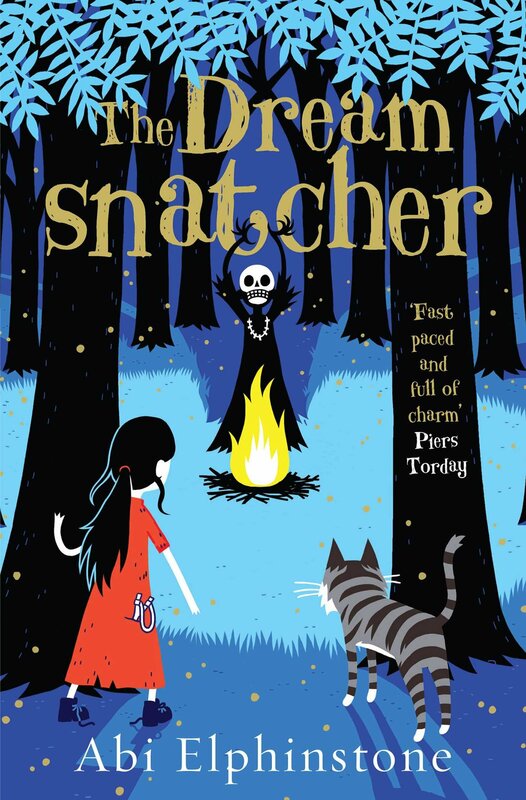 I mentioned last year in my post here that I’d read The Dreamsnatcher, Abi Elphinstone’s debut novel, and said that it was “a thrilling read, reminiscent of Philip Puillman.” I’ve been so delighted to see other people falling in love with Abi’s wonderful heroine Moll, wildcat Gryff, and her friends, and I can confidently say having recently read sequel The Shadow Keeper that it’s an even better book. There’s an intriguing revelation about Moll’s friend Alfie, the excitement levels are as high as ever, and it builds to an extremely emotional ending. Looking ahead to 2016 I’ve only read a couple of the upcoming releases – one being the aforementioned Shadow Keeper – but one of them, The Crooked Sixpence by my friend Jennifer Bell, is a book I can’t wait to see everyone get their hands on. It’s not out until the summer so I won’t say too much, but the first in the Uncommoners series is one that I raced through in an afternoon and really loved. Heroine Ivy Sparrow is plunged, along with her brother, into a mysterious world where everyday objects have strange powers, and has to try and save her family by working out the long-forgotten mystery of her grandmother’s past. A completely charming fantasy read! Finally, it would seem ridiculous to complete a round-up of great speculative fiction without even a mention for one of the all-time greats of the genre, Terry Pratchett. 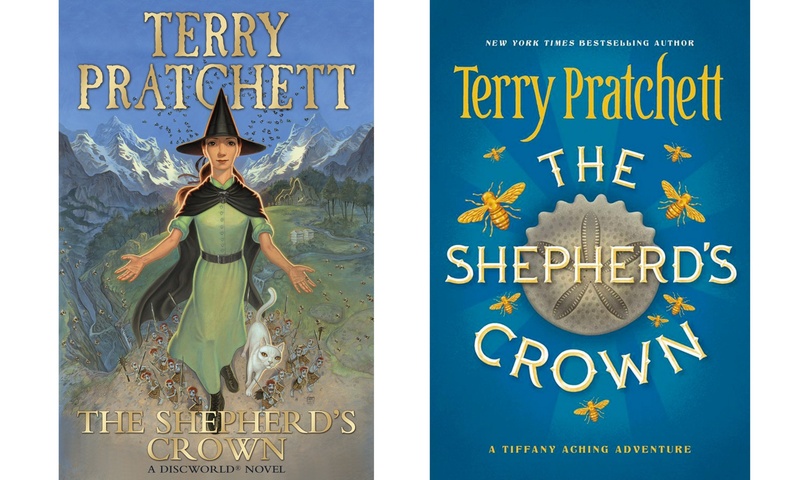 Sir Terry’s sad death earlier this year means that The Shepherd’s Crown will be the last Discworld book released, and for that reason, I haven’t been able to bring myself to read it just yet. His writing has been a constant part of my life for well over two decades now and I’m sure that when I do eventually finish the series I’ll be entertained as ever – but there’s a part of me which isn’t quite ready to come to the end. From everything I’ve read about it, though, the final Tiffany Aching adventure is just as good as all of the rest!